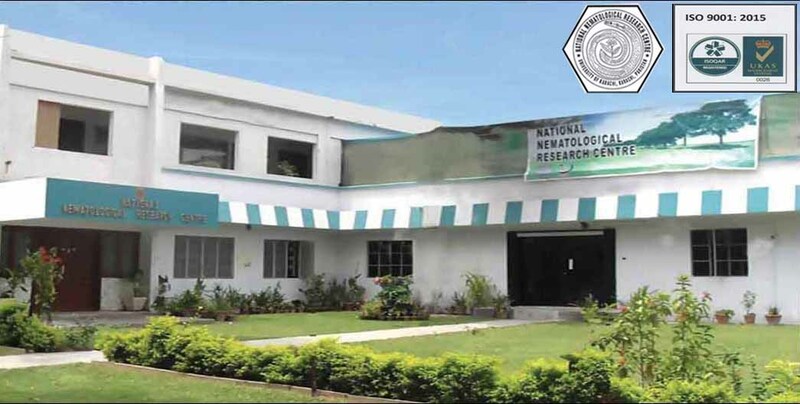 National Nematological Research Centre (NNRC) is a leading research and educational institute dedicated to the generation, acquisition of knowledge about Nematology in Pakistan. NNRC was established in 1974 and now has come to symbolize as an efficient, dynamic and forward looking research centre in Pakistan. Nematology is a highly specialized field of biological sciences including agriculture and provides services of specialists dealing with nematodes. NNRC is the only research as well as academic centre, which is solely associated with the study and research of Nematology in the country. The main objective of NNRC is to promote the subject of Nematology so as to generate highly trained manpower through M. Phil / Ph. D. degree program. NNRC has now get ISO Certification 9001-2015 for the compliance of its Diagnostic services and Educational program. Vision: The main vision of the NNRC is to grow more food and healthy agricultural crops that are free from the attack of nematode pests. Mission: Eradication of nematodes from our agricultural crops is the mission of the centre, besides to promote the subject of Nematology and produce highly trained manpower through M. Phil and Ph. D degree programs.